In a letter to the editor of the Journal of Clinical Psychiatry doctors of the Rockland Psychiatric Center in Orangeburg, New York, USA, reported of four more patients with schizophrenia not responding to other medication, who improved considerably with a treatment by THC. The physicians had already published a similar experience with four other patients in 2009. This time they tried dronabinol (THC) for 8 further patients in the hospital. They all suffered from severe psychosis refractory to standard medication and reported of a positive previous experience with cannabis. There were four responders with good improvement with THC and four non-responders. One case was a 54-year-old man with schizoaffective disorder, who had been aggressive, intrusive, and disorganized for years in spite of multiple medication trials. Before the THC trial he received daily clozapine, risperidone, lithium carbonate, and clonazepam for months with no significant benefit. After adding 5 mg THC twice a day he became calm, cooperative, and logical and was very much improved, as did the other three responders. None of the four non-responders had a worsening of their psychosis or other effects. Authors noted, that they "simply had no change with the addition of dronabinol." 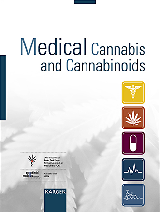 They write: "We suspect that in a small subsect of these [psychotic] patients, the etiology of their psychosis is low endogenous endocannabinoid brain function, so that cannabinoid stimulation would improve their behaviour." In a non-randomized observational study at the University of Calgary, Canada, patients diagnosed with peripheral neuropathy where permitted to initiate monotherapy with nabilone or gabapentin or add one of these two medications to their existing treatment. Reassessment and modulation of dosing and/or medications occurred at 3- and 6-month intervals. Medication adverse effects and drug efficacy, as well as questionnaires, were assessed at 6 months. 101 patients initiated monotherapy, 49 with nabilone and 52 with gabapentin. 119 patients used one of the medications in addition to their current treatment, of whom 55 used nabilone and 64 gabapentin. After six months 35 patients still used nabilone and 32 patients still used gabapentin as monotherapy, and 38 patients used nabilone and 46 patients gabapentin as adjuvant therapy. The mean daily dose of nabilone after three and six months in the monotherapy group was about 3 mg. Significant improvements in pain were seen in all treatment groups at 6 months. Numerous sleep parameters improved in patients receiving nabilone or gabapentin either as monotherapy or adjuvant treatment. Anxiety and depression scores were significantly improved in all treatment groups. Authors concluded that "the benefits of monotherapy or adjuvant therapy with nabilone appear comparable to gabapentin for management of NeP [neuropathy]." 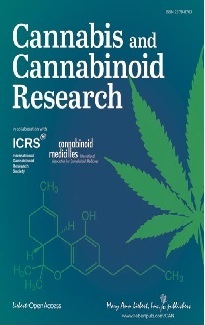 Scientists at the University of California in San Francisco, USA, investigated the effects of cannabinoids on oral cancer pain and tumor growth in a mouse cancer model. A CB1 receptor selective cannabinoid (ACEA), a CB2 receptor selective cannabinoid (AM1241) as well as a non-selective cannabinoid (WIN55,212-2) all reduced cancer cell proliferation in a dose-dependent manner in cell experiments. All reduced cancer pain (mechanical allodynia). Tumor growth was reduced with the CB2 receptor selective cannabinoid in mice. (Source: Saghafi N, et al. Neurosci Lett. 2010 Nov 18. [in press]).